Intelligence analysts have agreed since the late 80s that climate change poses serious security risks. With the White House now reportedly considering an executive order to establish a Presidential Committee on Climate Security that would contest such findings, it’s useful to review the history of climate change/national security official reports and findings. Although it’s unclear where the internal White House thinking on such a committee will lead, it’s been authoritatively reported that the push for such an effort is led by two individuals – Will Happer and Steven Koonin – widely known to have climate change views far different from those of the “established” science community as represented, for instance, by IPCC and the National Academy of Sciences. Former Princeton physicist Will Happer, now with the White House staff, has a long history of scientifically challenged views about climate science. In the past a frequent favorite witness before House hearings overseen by members rejecting the climate science community “consensus,” Happer has acknowledged in a court case receiving funding from Peabody Coal and from other fossil fuel interests. In 2015 the New York Times reported that he was caught in a Greenpeace “sting” agreeing to take money from unknown Middle Eastern oil and gas interests in exchange for writing a report challenging climate science. Steven Koonin has written on blogs and in the Wall Street Journal pieces in stark contrast to the view of the overwhelming scientific consensus. Naval operations in the coming half century may be drastically affected by the impact of global climate change. For the Navy to be fully prepared for operations in this future climate environment, resources of both mind and money must be committed to the problem. an abrupt climate change scenario could potentially destabilize the geo-political environment, leading to skirmishes, battles, and even war … Violence and disruption stemming from the stresses created by abrupt changes in the climate pose a different type of threat to national security than we are accustomed to today. Climate change can act as a threat multiplier for instability in some of the most volatile regions of the world, and it presents signiﬁcant national security challenges for the United States. Accordingly, it is appropriate to start now to help mitigate the severity of some of these emergent challenges. The decision to act should be made soon in order to plan prudently for the nation’s security. The increasing risks from climate change should be addressed now because they will almost certainly get worse if we delay. A year later, the National Intelligence Council judged that more than 30 U.S. military installations were already facing elevated levels of risk from rising sea levels. While climate change alone does not cause conflict, it may act as an accelerant of instability or conflict, placing a burden to respond on civilian institutions and militaries around the world. There’s more. 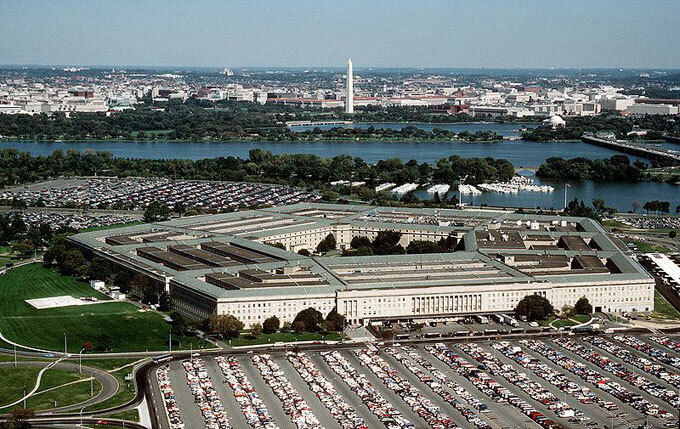 Many of those same concerns were echoed in the Trump administration’s January 2019 Department of Defense report documenting vulnerabilities of 79 military installations to events exacerbated by climate change impacts such as floods, droughts, and wildfires. As just one example, Naval Station Norfolk – the world’s largest naval base – is already experiencing frequent sunny-day flooding. It’s unclear at this point just when – and even whether – the Trump administration will proceed with establishing a formal overview of climate change/national security links. What is clear is that any such review will have an extensive body of previous official reports to upend if it ends up reflecting conflicting viewpoints.